While most people are familiar with chameleons, researchers have discovered something new about this colorful lizard. 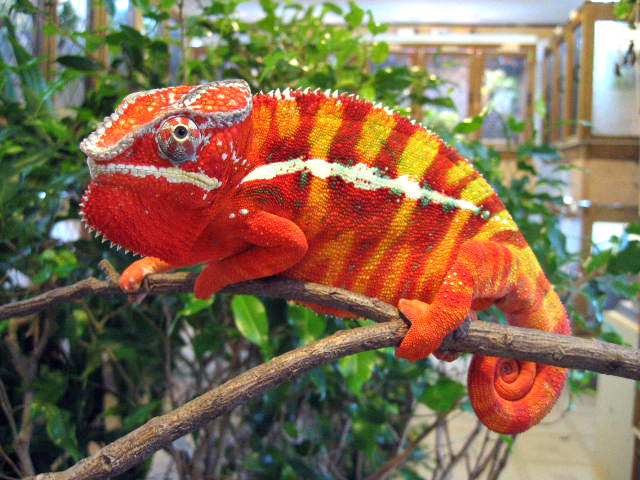 The ability of chameleons to change color is more than just manipulating their pigmentation. They change color by actively tuning the positions of light-reflecting guanine nanocrystal cells that are embedded in their skin. When I read this article, I thought: “This is exactly what Paul did throughout his ministry.” Chameleons change color to adapt to their surrounding and to benefit them in their social interactions, but this change doesn’t alter their basic constitution—they remain lizards. Paul adapted his methods, but he never changed his message. He emphasized different distinctives of the Gospel, so he could proclaim certain principles to specific segments of society.